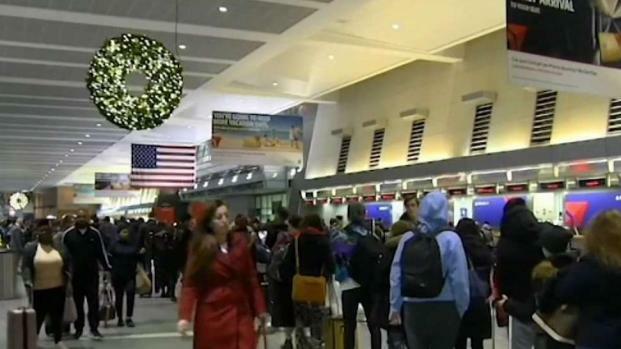 A steady stream of travelers hit Logan Airport ahead of Thanksgiving. Passenger lines at Logan Airport early morning Wednesday were longer than previous years in what is expected to be the second busiest air travel day of the year. According to the Transportation Security Administration, the increase in holiday travelers typically starts the Friday before Thanksgiving. More than 25 million people are expected to pass through security checkpoints across airports nationwide from Wednesday through Monday, a 5 percent increase from the previous year. An estimated 70,000 people are expected to pass through security at Logan Airport. The TSA recommends passengers arrive two hours early for domestic flights and three hours early for international flights. 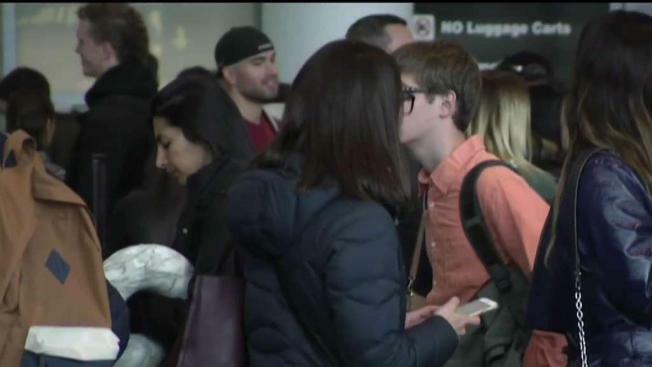 Boston's Logan Airport was packed bright and early Wednesday morning as people rushed to catch flights ahead of the Thanksgiving holiday. Some passengers traveling on Wednesday said they expected the crowds and long lines. "This is normal, it's Logan, so it's always like that," said Romero Oliveira, of Winthrop. "You always have to come in a little early." The Sunday after Thanksgiving is projected to break into the TSA's top 10 busiest travel day of the year. Driving was also difficult in parts of New England on Wednesday. The remnants of a recent snowstorm left messy road conditions across much of the region, and the forecast called for more snow on Wednesday followed by blustery winds and high temperatures in the teens on Thanksgiving Day in northern New England.